Gose (goh’-zuh) is a tart wheat ale which was very popular in Leipzig in the late 1800s. After World War II, the style all but disappeared, but has found a prominent niche in craft brewing in recent years. The defining, unique characteristic of gose is not its tartness, which comes from secondary fermentation with lactic acid bacteria, but its saltiness. The water in Leipzig is naturally saline, but most gose today is produced with added salt. It’s not like drinking seawater (we’ll get to that tomorrow); it should be subtle and balance the acidity. 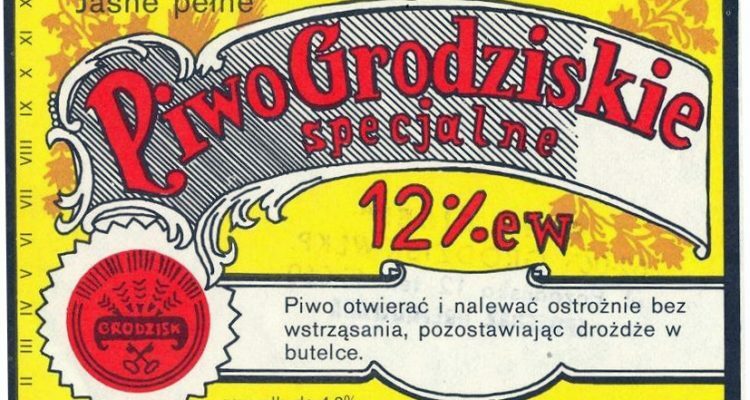 Slightly similar to gose, grätzer (gret’-zer) (or the Polish version, grodziskie [gro-jis’-kee]) is typically a low-alcohol, (3-4%) sour beer with a base of wheat malt that has been smoked over oak staves. Think of it as a cross between Berliner Weisse and Rauchbier. If you are a fan of Scotch whisky, you will probably like this beer. Many savvy craft beer drinkers are aware of “farmhouse” beers, the most common example being saison. Farmhouse ales were originally brewed for workers to enjoy after a long day of harvesting, and are usually well-attenuated (dry) for a refreshing, crisp finish. However, modern saisons are often brewed in the 7% ABV range, which while enjoyable, is not exactly as refreshing. Brian O’Reilly, brewmaster at Sly Fox Brewery in Pottstown, PA, was looking for a lighter alternative to saison, or as he puts it, a “session saison.” While saison was the beer of farmers, the “Grisette” style was popular in the Hainaut province of Belgium as the beer of miners. The name, from the French word for “gray,” could refer to the women in drab gray uniforms that brought the ales around to thirsty miners or the gray porphorytic rock extracted from the mines. 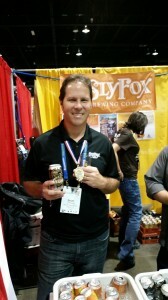 The Sly Fox Grisette won a gold medal at this year’s Great American Beer Festival in the Belgian- and French-style Ale category. The summer seasonal ale sold well enough to be canned along with Sly Fox’s other flagships. Notes: A lower-alcohol Belgian farmhouse ale. Although we now consider hops an essential ingredient in beer, the making of beer long predates the use of hops. Before hops spread into most of Europe in the late Middle Ages (12th-13th centuries), beer was flavored and preserved using indigenous herbs such as yarrow, myrtle, woodruff, rosemary, and others. To differentiate them from hopped beers, these herbed beers were called gruit (groot). Aaron Kleidon and Marika Josephson, two of the three co-owners of Scratch Brewing Company. One brewer that has taken modern gruit production to a whole new level is Scratch Brewing Company in Ava, IL. Of the 80 to 90 beers the company produces in a year, roughly 12 to 15 are gruits. According to co-owner Marika Josephson, Scratch’s interest in gruit is not just archaeological in nature, but also about using local ingredients indigenous to Southern Illinois. In essence, it’s a search for the terroir of beer. Many of the ingredients Scratch uses in their beers are foraged from the nearby forest by co-owner Aaron Kleidon. “As a kid, I was always in the woods,” says Aaron. 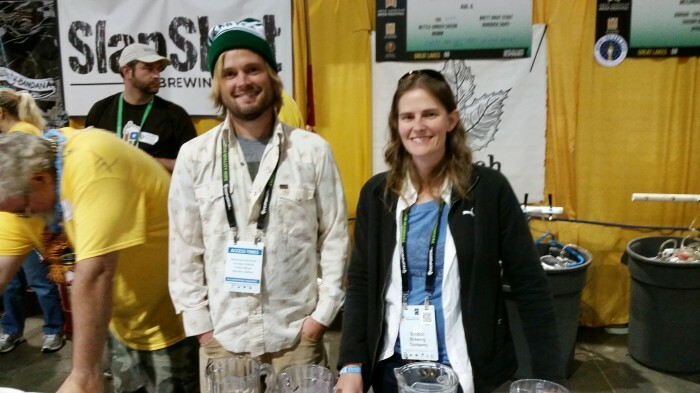 Now, his efforts have resulted in unique beers such as 105, a saison made with 105 different “previously living” organisms (e.g., herbs, roots, fungi, etc.). The beer is a unique, savory experience that is wildly complex. Notes: Beer brewed with bitter or aromatic herbs instead of hops. Did have a nice Rauchbeer the other day – a very particular flavour, not to everyone’s taste but interesting. Interestingly, I wonder if the modern day Gösser brewery (Austria) got its name from gose….